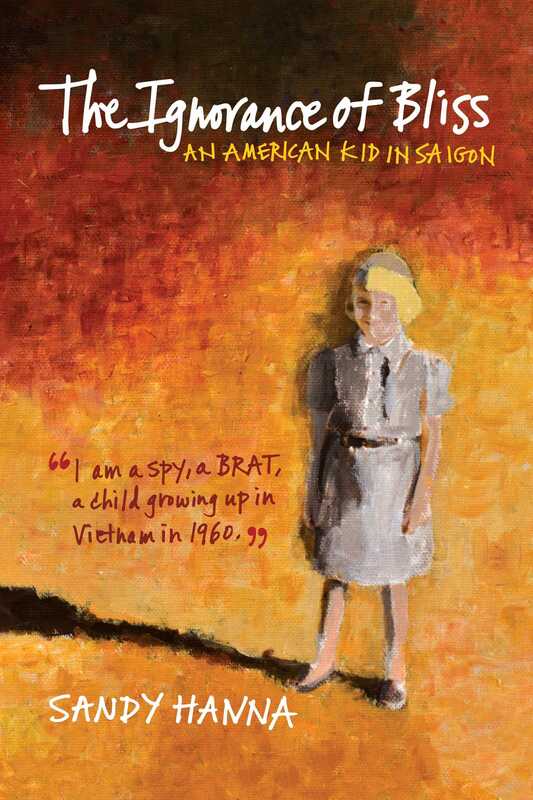 The Ignorance of Bliss tells the true story of ten-year-old Sandy, who moves with her American military family to Saigon, Vietnam where her father, the Colonel, serves as a military advisor to the South Vietnamese Army. In 1960s Saigon, Sandy finds a world of crushing poverty and extraordinary beauty; a world of streets, villas, and brothels, where politics and intrigue reside between plot and counterplot. Blissfully living a life of French decadence, Sandy maneuvers between coups, spies, bombings, corruption, and scandal as she and her thirteen-year-old brother, Tom, run an illicit baby powder and Hershey bar business on the black market and live a life of school, scouts, dance parties, and movies at the underground theater. When the Colonel’s counterpart, Colonel Le Van Sam, delivers an expose on the current ruling Diem regime, Sandy finds that her constant spying on her father’s activities has brought her face to face with the reality of Vietnam and the anti-American sentiment that pervades it. This coming-of age story takes place in a turbulent country striving for nationalism, giving the reader a stunning look into the life of military dependents living abroad and the underlying ignorance that surrounded a little understood time in history. "You've captured the essence of the people and the country of Vietnam at a time before all hell broke loose. You tell the story from the perspective of a child who is old enough to be aware, but whose memories come from a place of innocence. You have such a gift for nailing the descriptions of your siblings' characters and motivations. It is unique on so many levels." "Powerful. Crazy. Growing up at a perfectly awkward time in life and history." – Jerry Waxler, Author, "Memoir Revolution"
"Immersed in your wonderful book and can't put it down. Fresh, funny, tragic, and rich with unforgettable characters, this ten-year-old's vision of wartime Saigon will captivate every reader."